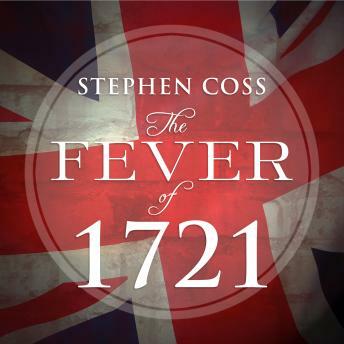 In The Fever of 1721, Stephen Coss brings to life an amazing cast of characters in a year that changed the course of history, including Cotton Mather, the great Puritan preacher; Zabdiel Boylston, a doctor whose name is on one of Boston's grand avenues; James and his younger brother Benjamin Franklin; and Elisha Cooke and his protege Samuel Adams. During the worst smallpox epidemic in Boston history, Mather convinced Doctor Boylston to try a procedure that he believed would prevent death-by making an incision in the arm of a healthy person and implanting it with smallpox. 'Inoculation' led to vaccination, one of the most profound medical discoveries in history. A political fever also raged. Elisha Cooke was challenging the Crown for control of the colony and finally forced Royal Governor Samuel Shute to flee Massachusetts. Samuel Adams and the Patriots would build on this to resist the British in the run-up to the American Revolution. And bold young printer James Franklin launched America's first independent newspaper and landed in jail. His teenage brother, Benjamin Franklin, however, learned his trade in James's shop and became a father of the Independence movement.